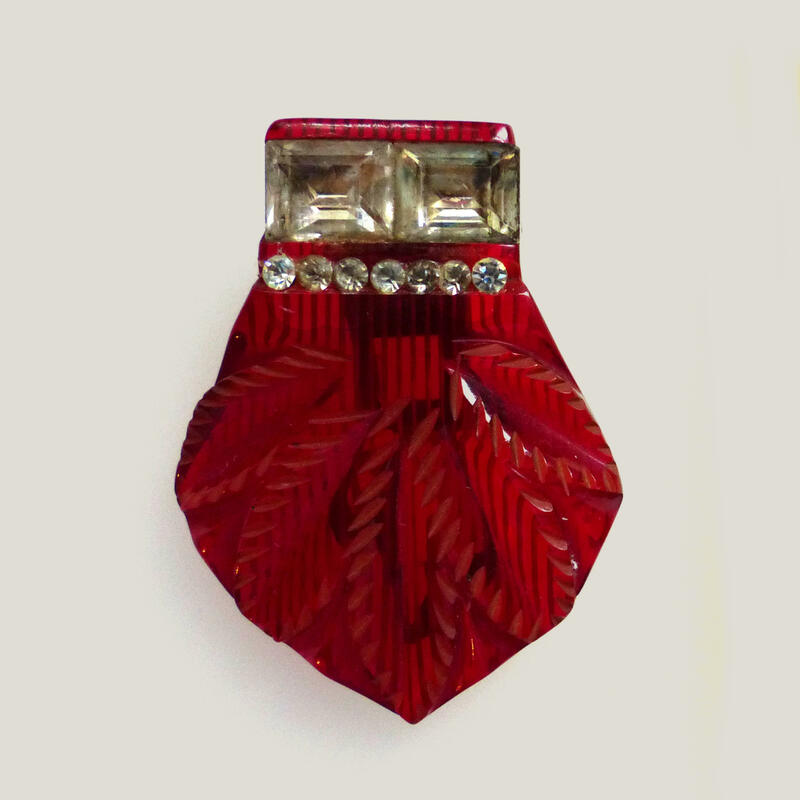 Stunning large Bakelite dress clip in cherry red 'prystal' with deep hand carved decoration and inset round and emerald cut Czech rhinestones. Circa 1935, probably French. Very good condition overall, some scratches to the plastic, large stones have darkened. 4.5 cm, Unsigned. 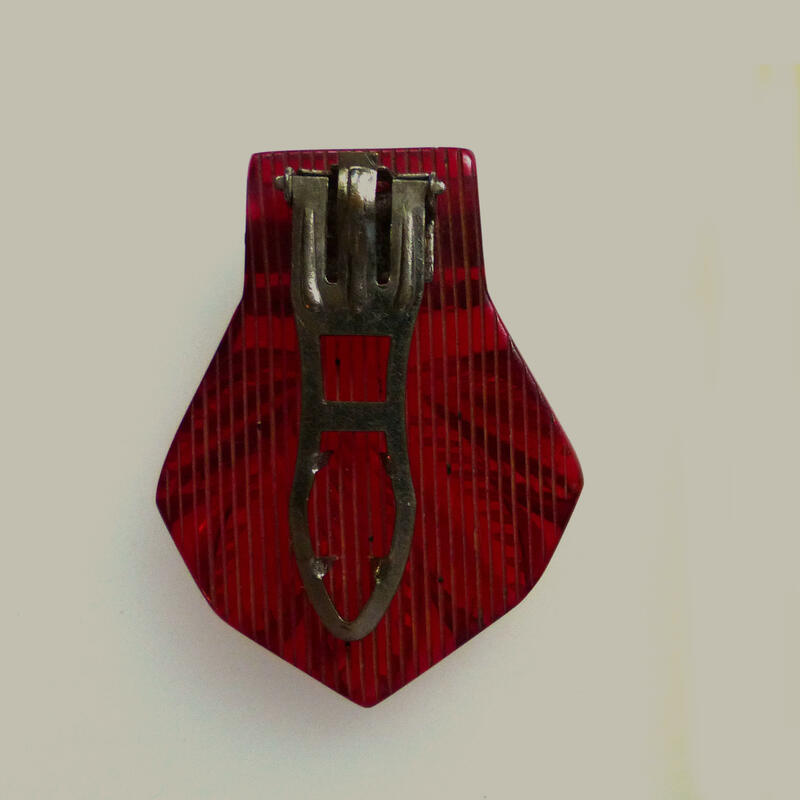 Strong clawed clip to reverse.